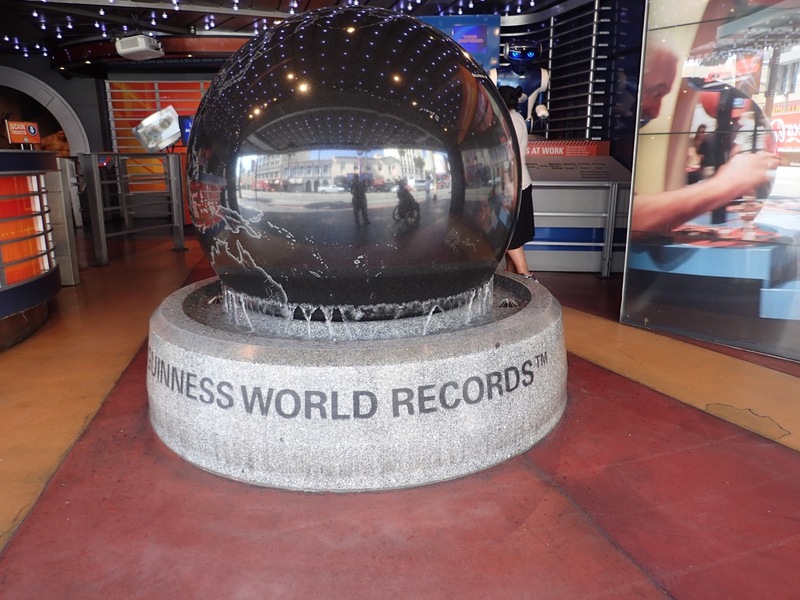 The Guinness World Records Museum was the museum Mik was most excited about seeing. Unfortunately, it ended up being the worst of the three that are part of the combo ticket. I think it mainly was disappointing in that it is just walls and walls of information with very few items on display to go with them. 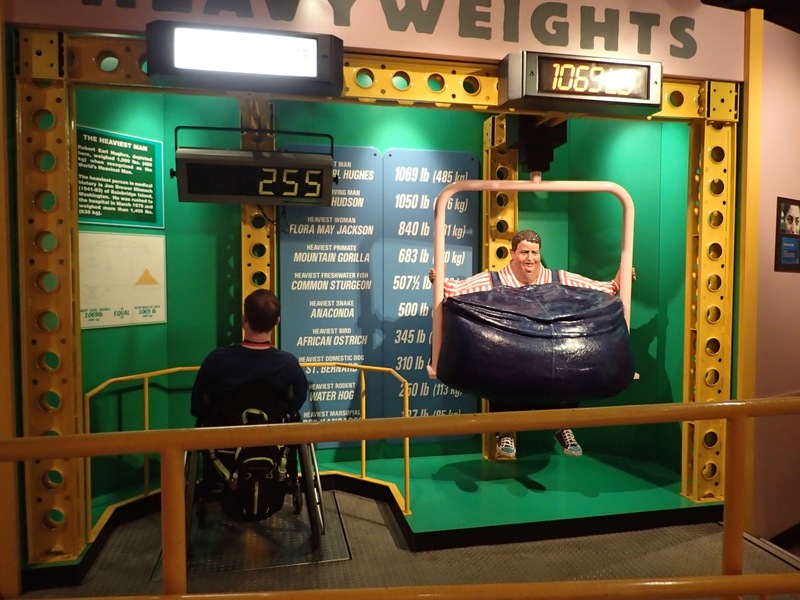 One of the few interesting parts was the weigh yourself to compare to the heaviest man and that was only because the other day Mik was telling me he weighs 130 pounds and I couldn't believe that was true, especially since he clearly made it up as he hasn't been weighed in at least 5 years. Accounting for it being tared at 76 and not 0 it seems quite accurate as I know my weight. Not sure what his wheelchair weighs (and the stuff in the backpack probably added a few pounds), but it seems his 130 estimate may not be that far off. 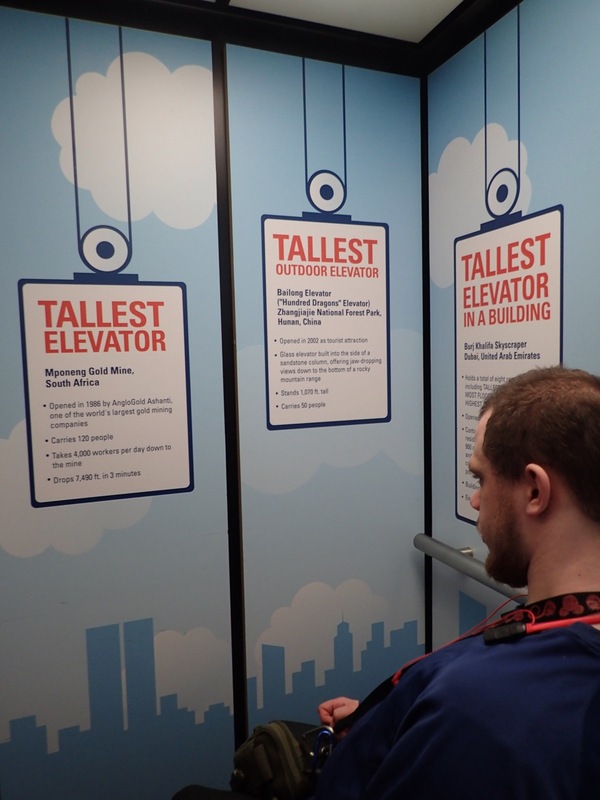 Of course, since they had facts about elevators in the elevator, that was our favorite part, which reminded us that one of these days we really need to put our mental list of favorite elevators down as a real list. 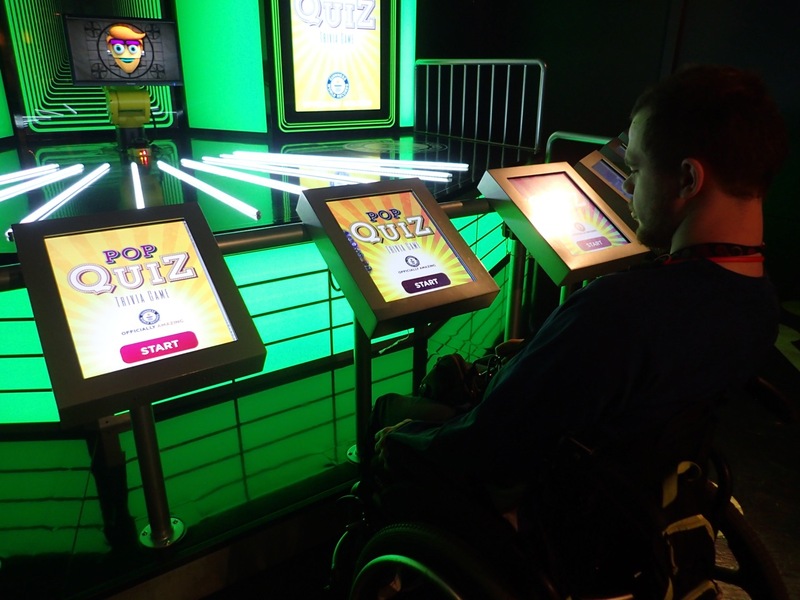 The pop quiz game looked like it would be fun, but it ended up being very disappointing. The main problem was that the questions were put up on the screens and you didn't have much time to answer them on the screen in front of you. It would've been fine if it read the questions aloud or perhaps even if you could just look at the one screen. Also, Mik had trouble with the touch responsiveness of his screen. 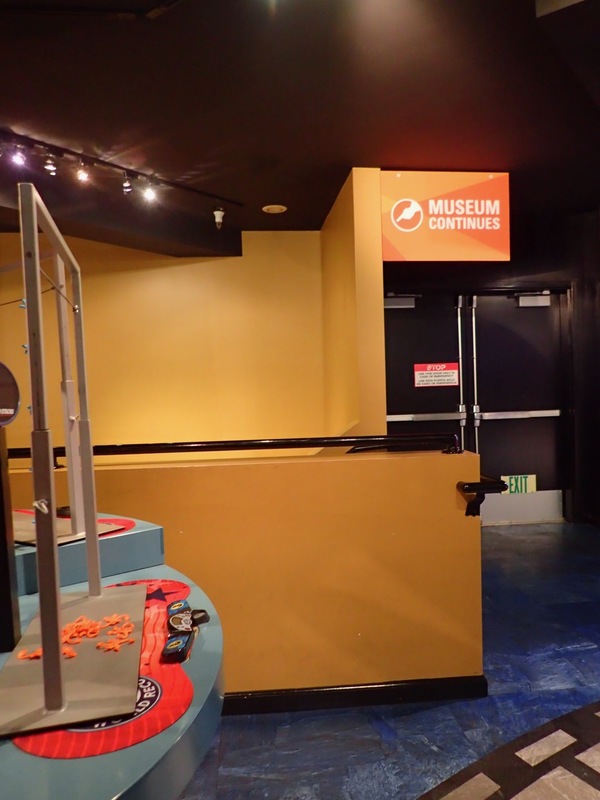 What really made us not like the museum is that when you get to the end of the second floor exhibit an arrow points downstairs that the museum continues and nothing tells you how to continue via the elevator. We ended up just taking the elevator down and exiting the way we entered the museum, but we feel like maybe we missed part of the museum, especially after doing Ripley's, which had a decent amount after the final stairs (its signage wasn't much better, but its layout made it reasonably obvious how to continue if you didn't use the stairs).